We are excited to welcome Mae Respicio as our guest author today. Mae is the debut author of The House That Lou Built, about a young Filipina American tween who wants to build a tiny house. Make sure to check back here tomorrow to enter a contest to win a copy of Mae’s new book! 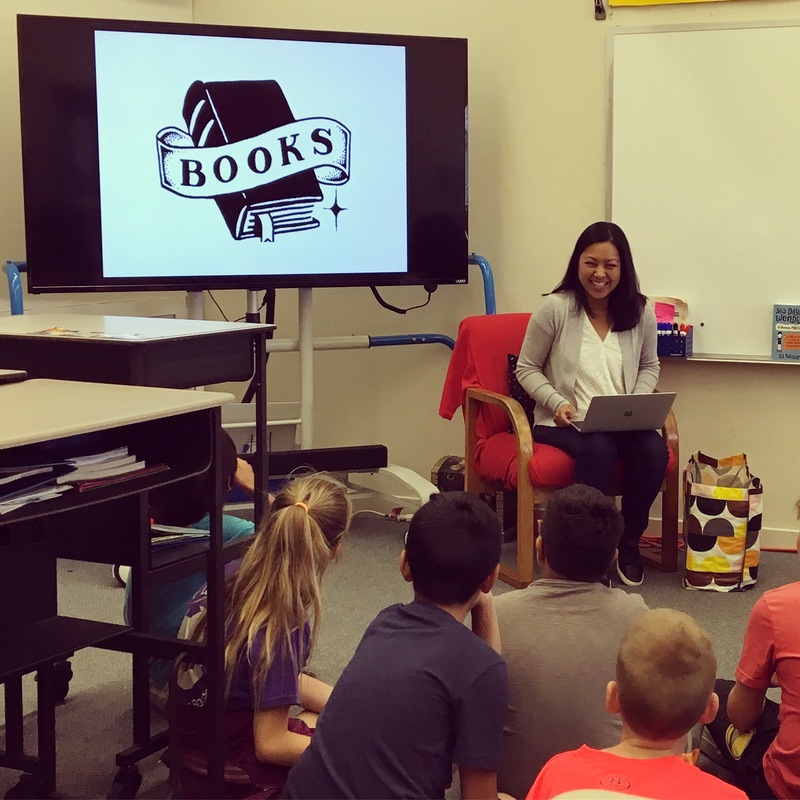 One of my favorite things about being an author is doing school visits and sharing my debut middle-grade novel, The House That Lou Built. I love connecting with educators, and it fills me with hope to see how wonderfully curious and empathetic kids naturally are. My book is about a twelve-year-old Filipina American girl named Lou who has a big dream: to build a tiny house. When Lou’s mother considers taking a job out of state, Lou does everything in her power to convince her to stay put, which includes building a tiny house on some family land. Lou rallies the help of friends, and her heartwarming adventure begins. We discover Lou’s large and lovable extended family, her friends and woodshop teacher, and her persistence and determination. By the book’s end, she’s explored her culture and community, her place in this world, and the deeper meaning of home. 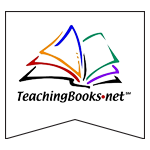 During my presentation, I give students a behind-the-scenes look at how and why I wrote this book. 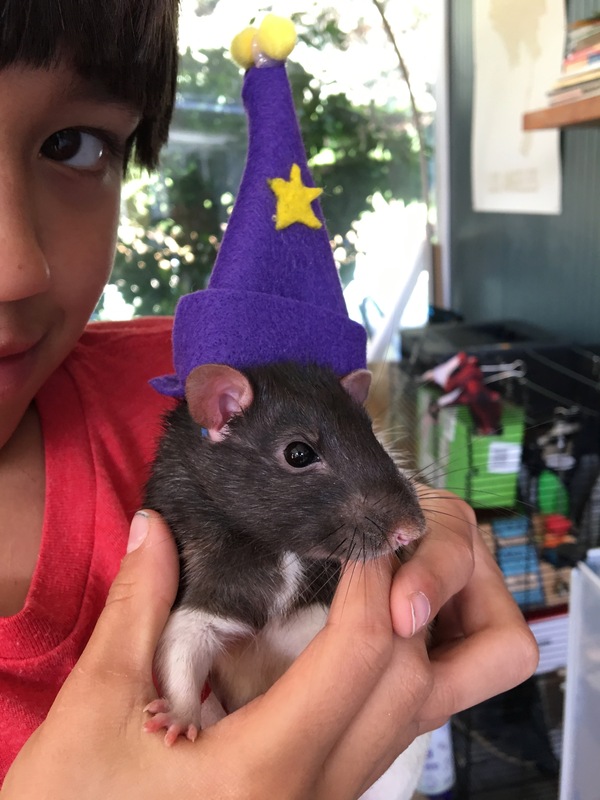 It’s chock-full of photos (starting with a couple of my family’s two sweet pet rats, which always gets a good buzz going! ), and I let the kids in on my writing process, including stages like brainstorming and research. Of course, they always ask whether I live in a tiny house (spoiler: I don’t! ), though I describe how I spent time researching tiny homes and trying to understand the philosophy behind the movement. Another step I reveal is that my goal is always to dig deep in my writing, drawing from my own experiences, emotions, challenges, hopes, and dreams to try to bring some of that perspective to the page. 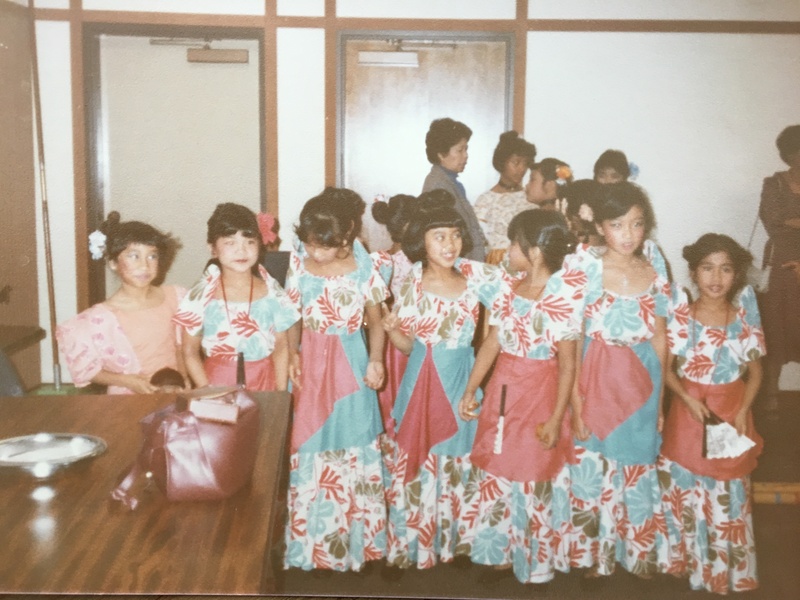 We look at slides of kid-me doing things like dancing in a Filipino folk dance troupe or participating in Filipino festivals—much like Lou does. I share that while Lou’s story is fictional, it is also deeply personal. I took from what I know and what I’ve lived—being from a community where cultural traditions mean everything—and used those details as rich starting points to build Lou’s story. Whenever I get a flicker of creative inspiration for a new middle-grade idea, it usually comes from my childhood. My awkward tween years have enough standout moments, from cringe-worthy to joyous, to last me through several books . . . and more. For my debut, I got inspired by looking through old family photos, talking to loved ones about raising an American family rooted in Philippine heritage, and using all of my senses to remember what it was like to be a kid who straddled two worlds—the sights, smells, and sounds that are engrained in me, those colorful everyday moments that now make up who I am. It’s writing from the inside out. There’s much discussion in the world of publishing right now about how kids need diverse books not only to open windows to empathize with others but also as mirrors to see their unique lives reflected back. Author Corrine Duyvis started #OwnVoices in 2015 to draw attention to “books about diverse characters written by authors from that same diverse group,” and it’s taken the conversation a step further—#OwnVoices books give nuanced representation and authenticity because the author has lived and breathed that experience. Growing up, I was a huge bookworm, but novels featuring a girl who happened to be Filipina navigating her everyday American life simply didn’t exist—it’s one of the reasons I wrote Lou’s story. This book is a love letter to my culture. It’s the book I wish I’d had to help me see that my life was normal, and I’m thrilled to finally share it. We each have a unique story to tell. We can all dig deep to uncover what those stories are, and it’s important that we do because it offers readers another opportunity to put themselves in someone else’s shoes. When kids step into Lou’s world, I hope it gives them a spark to keep questioning, listening, and reading a little more deeply as well. Write a letter to your greatest hope. Write from the perspective of someone who is the exact opposite of you. What do you want be when you grow up? Why? Listen to your favorite song and write about the emotions you feel. Write about a time you felt incredibly happy. What happened to make you feel that way? Write a story based on a relative by picking a specific event, adventure, or hobby from that person’s life—if you’d like, interview them first! 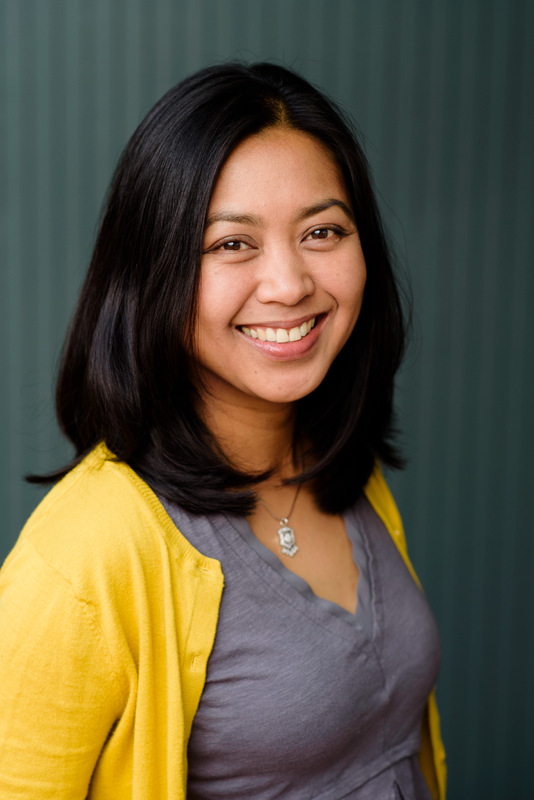 Mae Respicio is author of the middle-grade novel The House That Lou Built (out now) and Beach Season (coming 2020), both from Wendy Lamb Books. Like the main character in her debut, Mae spent many childhood summers dancing in a Filipino folk dance troupe. She is a past recipient of a PEN Emerging Voices Fellowship, has been a writer-in-residence at Hedgebrook in Seattle, and has published a variety of musings on parenthood. 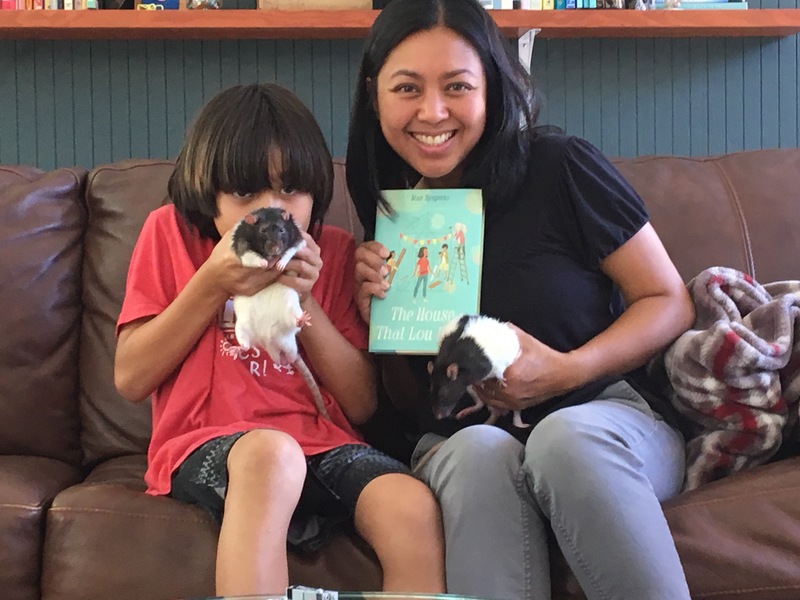 Mae lives with her husband, sons, and their two pet rats, Bubbie and Mochi, in the San Francisco Bay Area. Visit her online at maerespicio.com or follow her on Twitter at @maerespicio.